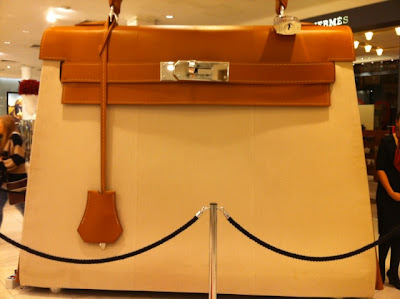 I felt like I arrived at the gates of Willy Wonka Chocolate factory when I saw this 12 ft tall Hermes Kelly bag sitting in the middle of Brown Thomas handbag room! Apparently you could even go inside and watch an animation of some sort...I didn't dare. 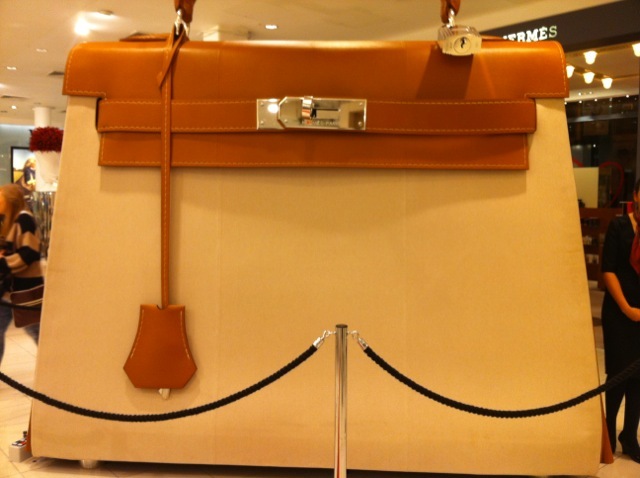 Some things ought to be admired from the outside :).